Thomas Calloway "Tom" Lea III (1907-2001), The 2000 Yard Stare (1944), oil on canvas, 91.4 x 71.1 cm, U.S. Army Center of Military History, Fort Belvoir, VA. By US Army, Tom Lea, via Wikimedia Commons. Naturalist painting was only one aspect of Naturalist art in the late nineteenth century. Indeed, mention the movement today and most people think first of literary Naturalism, particularly the novels of Émile Zola. Common to all these was a growing concern over the changes happening in society: rural deprivation and depopulation, urban growth and the many ills of cities, ‘immorality’ and prostitution, and more. I hope that I have shown how popular and high-profile Naturalist painting was in the period between 1880-1895. This article considers what it achieved, both at the time and later. There was an increasing awareness of the problems in society during the late nineteenth century. How much of it can ever be attributed to Naturalism I don’t know. In the Nordic countries, links between Naturalist artists like Christian Krohg and the rise of social democracy are strong, although I think it would be stretching a point to claim that Naturalist painting had any significant role in changing politics at the time. What is perhaps more surprising is how, after 1900, painting became more detached from social issues. War artists gave their accounts of conditions during the First World War, but it seems doubtful that they have had much impact on society as a whole then or now. From the First World War through much of the twentieth century, painting went through a period of deep, and often destructive, introspection. For the first time in art history, painters painted more about painting than they did about the world around them. But through this period realists telling stories and even social messages didn’t entirely disappear. For some, they turned inward and envisioned the mind and soul. 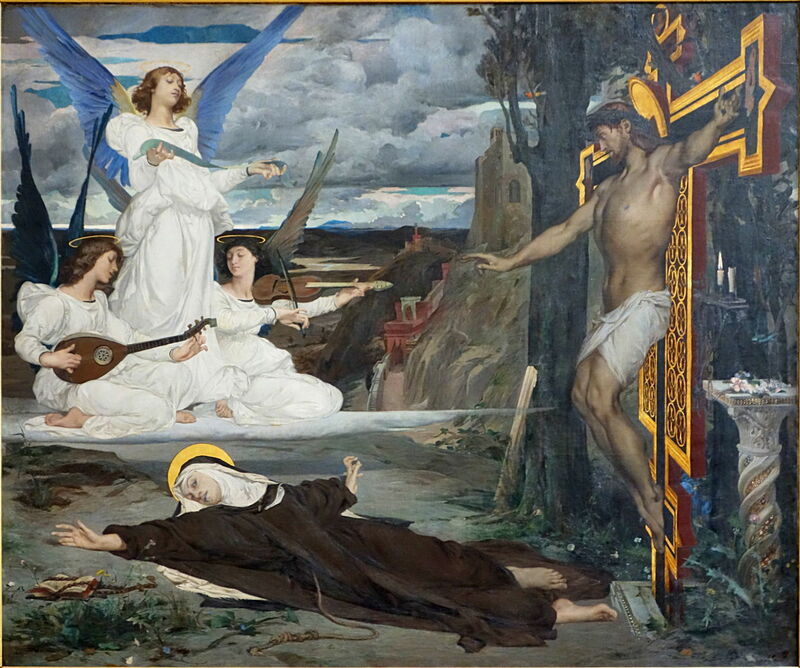 As early as 1872, the Naturalist Luc-Olivier Merson painted works such as The Vision, which combines an altered image of the crucifixion with that of a nun in an apparent ecstasy, and an angelic musical trio. 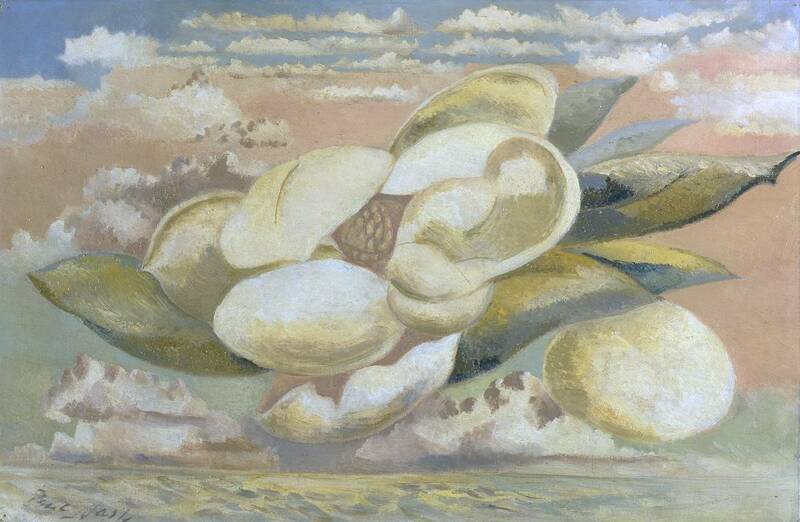 The late Surrealist paintings of the former realist landscape painter and war artist Paul Nash also show this inheritance. 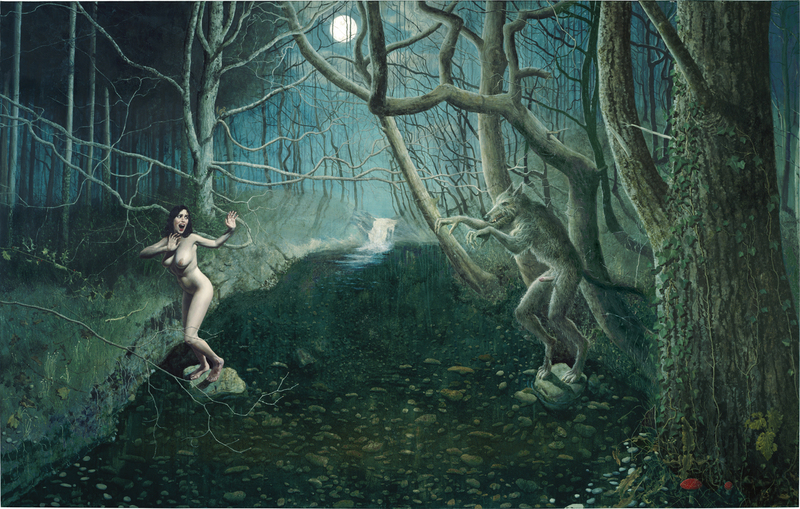 Other descendants include the haunting nocturnes of Paul Delvaux (1897-1944) and the photographic realism of Salvador Dalí (1904-1989). 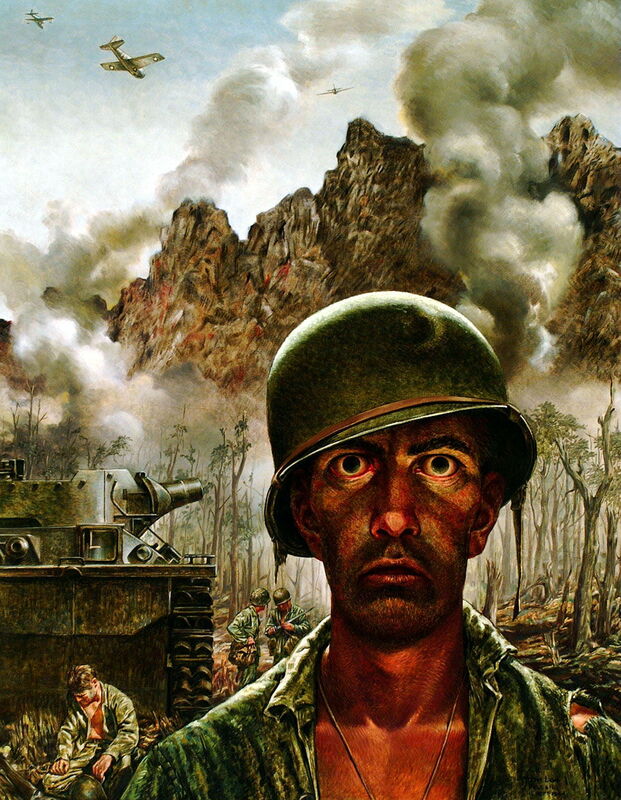 Thomas Calloway “Tom” Lea III (1907-2001), The 2000 Yard Stare (1944), oil on canvas, 91.4 x 71.1 cm, U.S. Army Center of Military History, Fort Belvoir, VA. By US Army, Tom Lea, via Wikimedia Commons. Tom Lea III’s painting of The 2000 Yard Stare from 1944 employs many of the techniques developed by Jules Bastien-Lepage: its horizon is high despite the presence of warplanes in the sky, it is finely detailed in the foreground and increasingly sketchy towards the background, but has the air of photographic reality. It was even published in the news magazine LIFE. The nineteenth century Naturalists realised that their convincing fidelity relied on a detailed realist style. Loose, painterly brushstrokes and high chroma colours were fine for a mere Impression, but to look real a painting had to have the same detail that we see in the real world around us. And to tell a nuanced story also needed precision in the image. 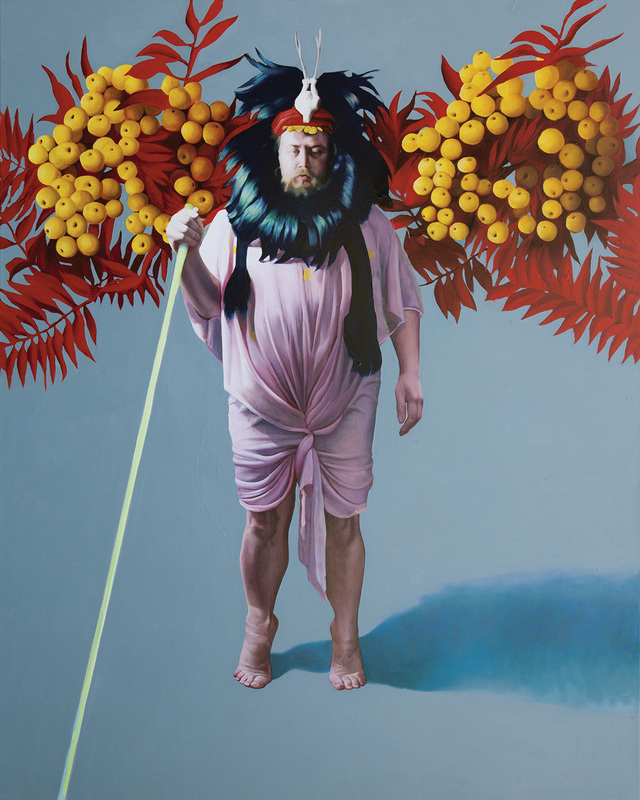 Modern narrative painters such as Stuart Pearson Wright (above) and Kirsty Whiten (below) have revived realism to create their alternative realities. 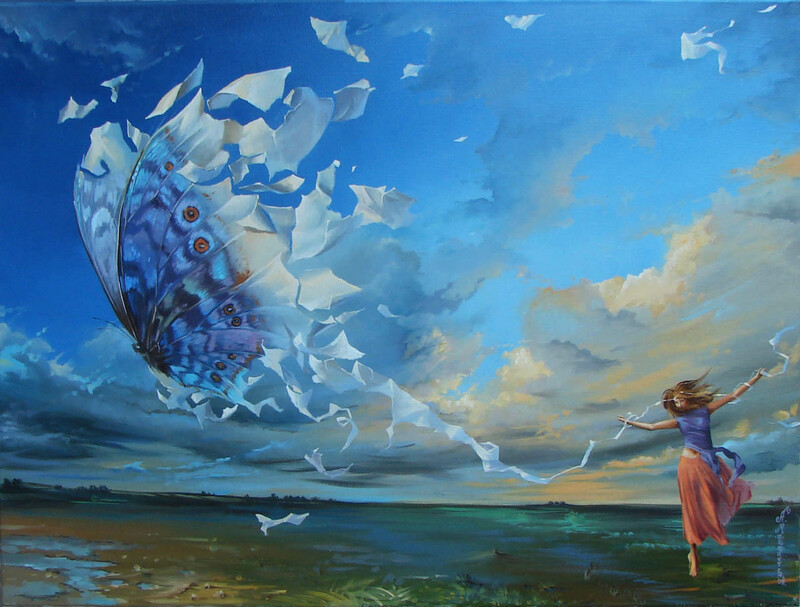 Anastasiya Markovich (1979-), Effect of Butterfly (date not known), oil on linen, 60 x 80 cm, location not known. Courtesy of Picture Labberté K.J. and the artist, via Wikimedia Commons. Anastasiya Markovich’s recent Effect of Butterfly is another good example of the modern use of realist images of unreal events and objects. What I haven’t explored in this series, largely because of the difficulty of obtaining suitable images on which copyright has expired, is the influence of Naturalism on the emerging art of photography. It’s significant that several Naturalist painters were enthusiastic photographers who exhibited their photographs and helped the new art emerge in the early twentieth century. Indeed, in his late life, Gérôme promoted photography more than he did painting. 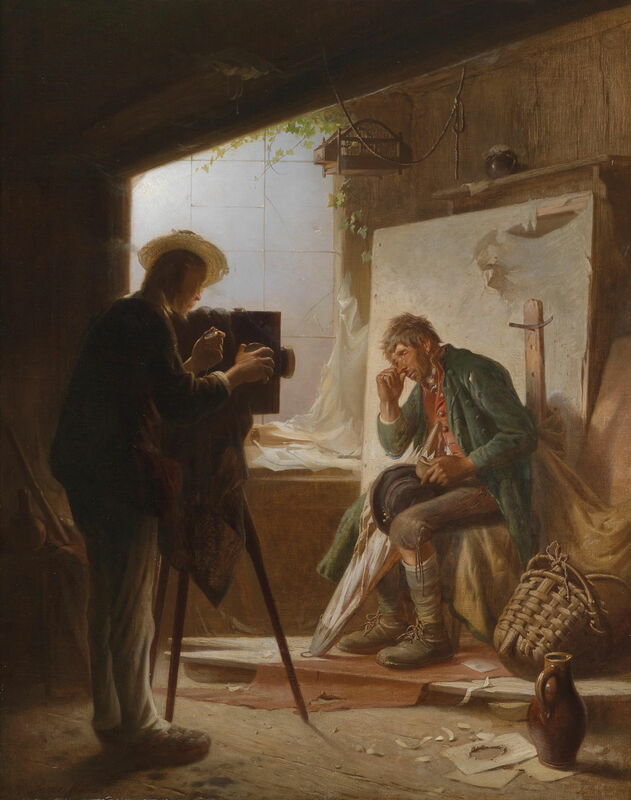 Philipp Sporrer’s The Photo from 1870 shows well the early attitude of most painters to photography. The young photographer is not the sort of man you would leave your wife or daughter with: he is down at heel, unkempt, and his straw hat is abominably tatty. His studio is poorly-lit, probably an old shed, its floor littered with rubbish, and its window broken. Even his subject is manifestly poor and uncouth, sitting in ill-fitting clothes and picking his nose as he waits for the photographer to fiddle around with his equipment. 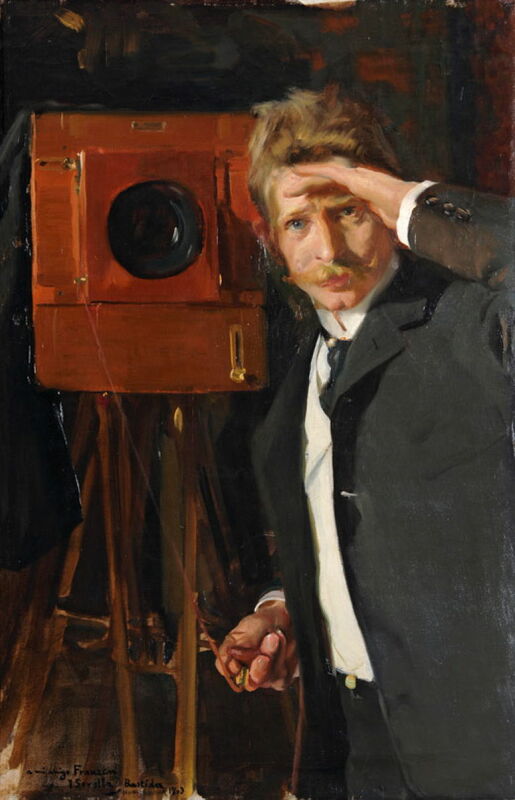 My last painting shows the counterpoint to that, in Joaquín Sorolla’s portrait of The Photographer Christian Franzen from 1903. Franzen had worked throughout Europe as a photographer until he established his studio in Madrid in 1896. He was then appointed court photographer to King Alfonso XIII, just as many painters before him had also been appointed to the royal court. I think that Naturalism’s greatest inheritance was not in painting – at least, not for many years – but in photography. Posted in General, Life, Painting and tagged Lea, Merson, Nash, naturalism, painting, photography, realism, Sorolla, Sporrer, Whiten, Wright. Bookmark the permalink. Tom Lea’s paintings can be seen in El Paso, his hometown, where he is still celebrated today. Thank you for sharing about his iconic images of WWII. He was a correspondent for Life magazine and wrote many narratives for them.